Beautiful ceramic pet remembrance plaque and photo frame with a heartfelt message of comfort and loyalty. 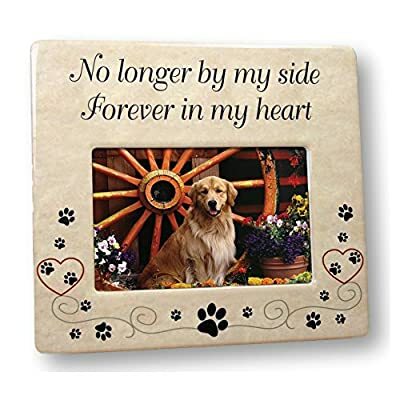 For anyone who has ever lost a pet this is a perfect gift. Easel Back. 8"W x 7.25"H. Holds a 6"W x 4"H Photo. Message Reads: "No Longer By My Side, Forever In My Heart." PET MEMORIAL PICTURE FRAME. "No Longer By My Side, Forever In My Heart." PET SYMPATHY GIFT. Perfect gift for someone who lost their pet. PET PICTURE FRAME. 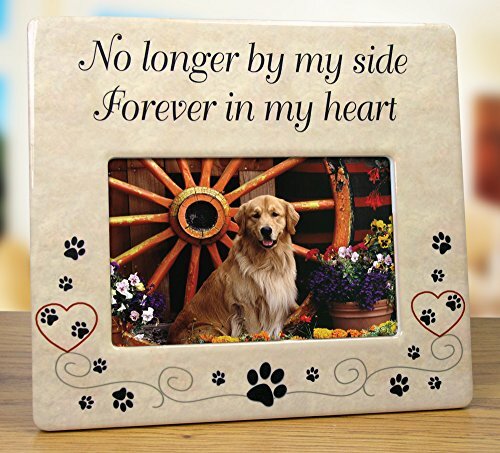 Great memorial picture frame for your fur baby. LOSS OF A PET. Nice frame to display a picture of your pet. 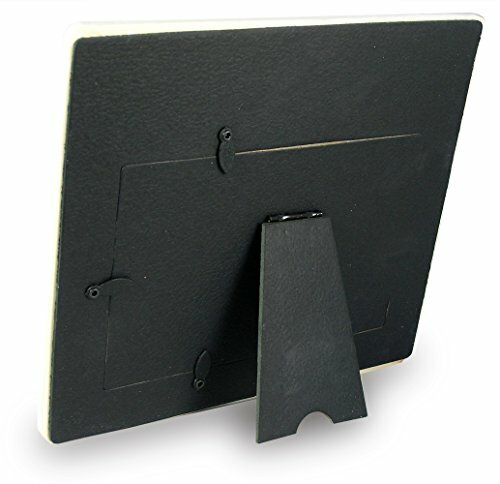 4 X 6 PICTURE FRAME. 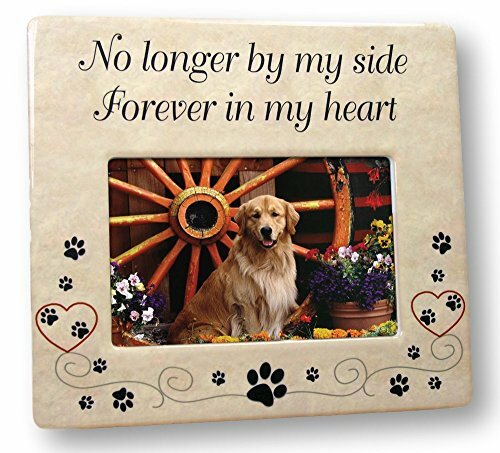 Plaque measures 8"W x 7.25"H. Square shaped opening holds a 6"W x 4"H photo of your furry friend.